PRL’s new line of hardware is what you have been waiting for. 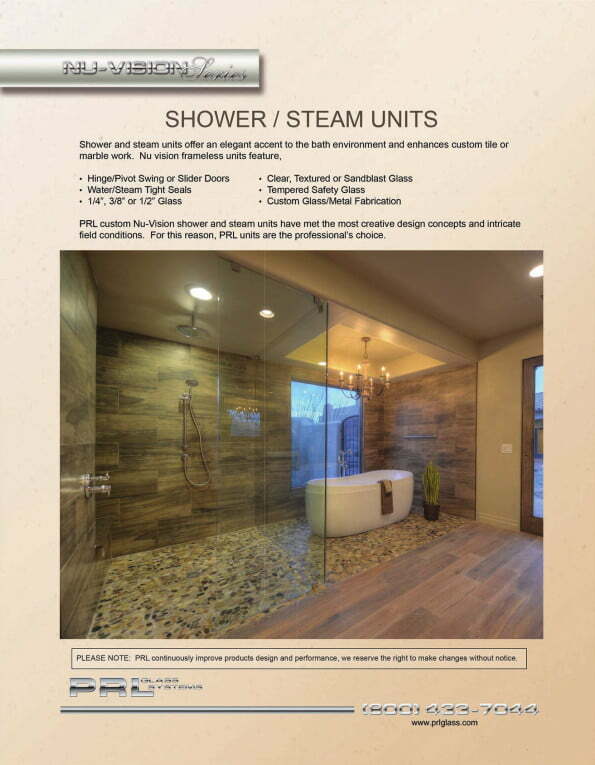 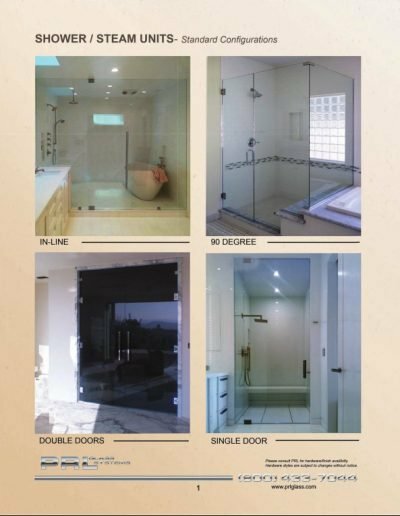 Not only can you order shower door glass from PRL, now you can order a complete shower door, including hardware and eliminate sending out several P.O.’s to complete you shower door order. 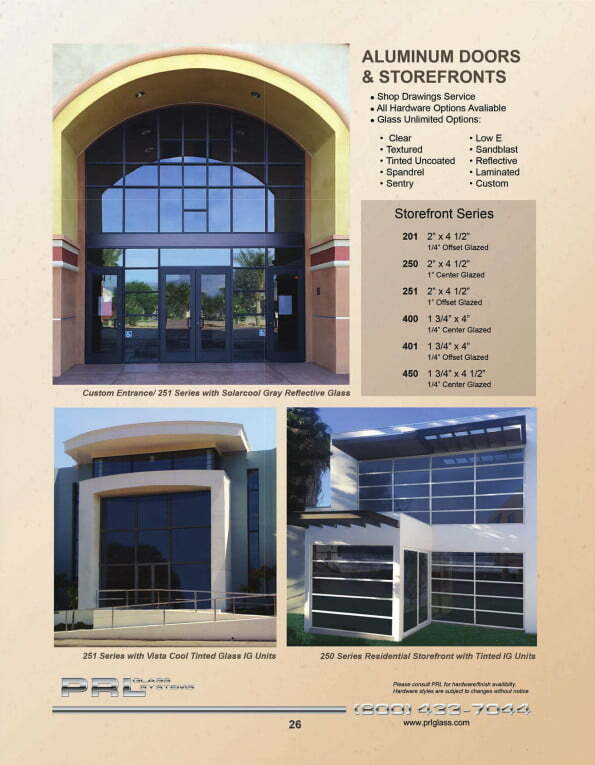 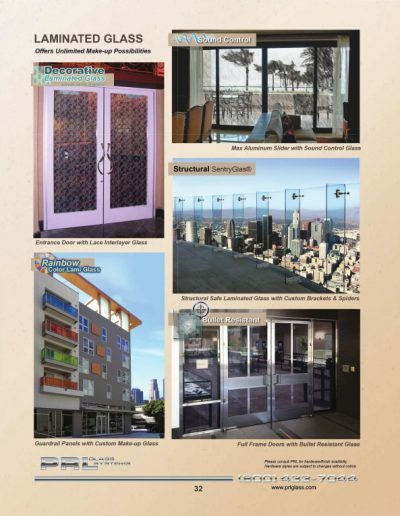 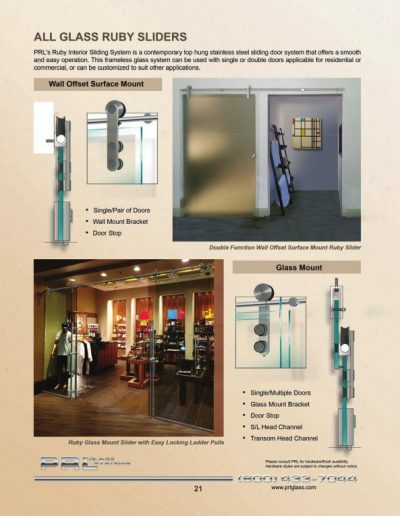 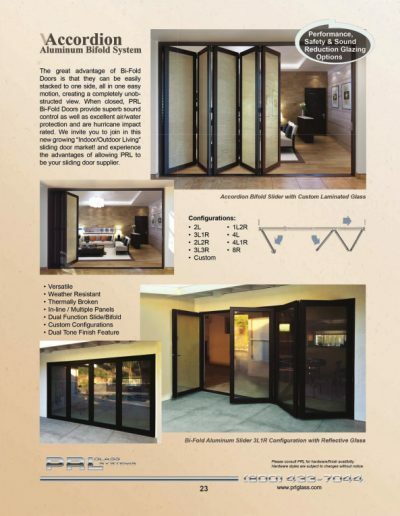 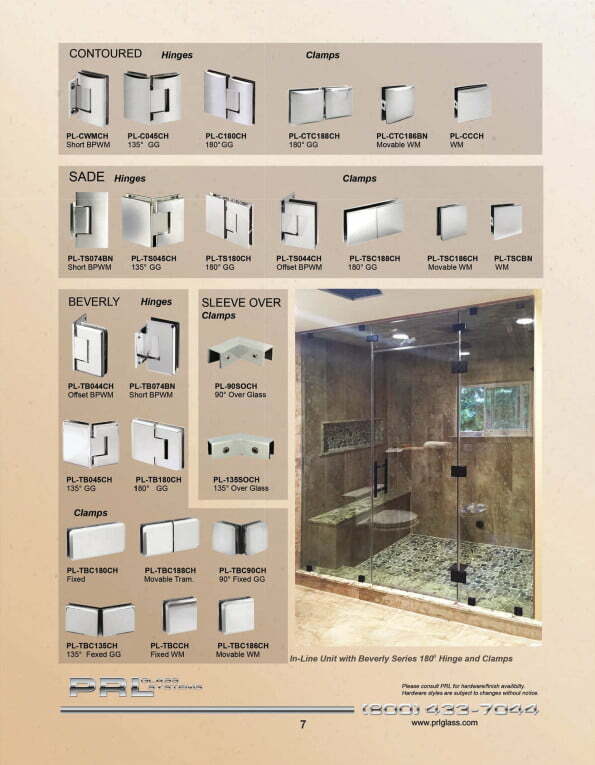 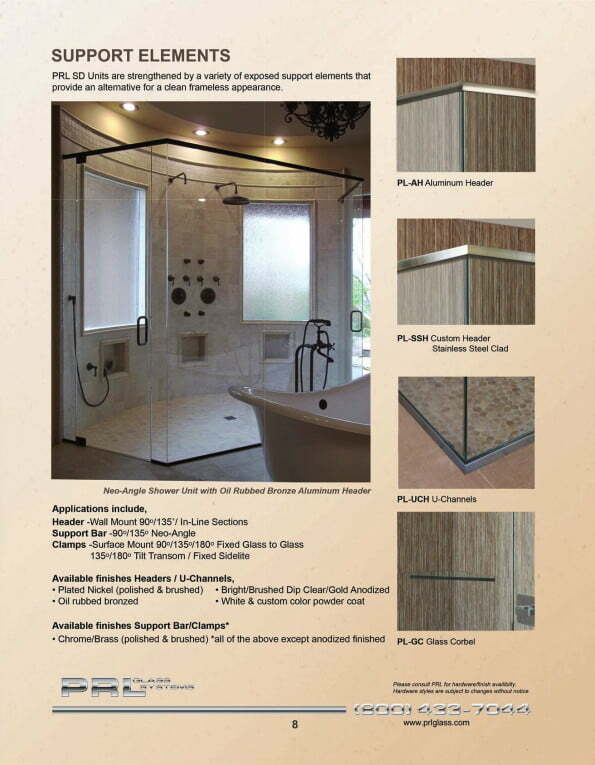 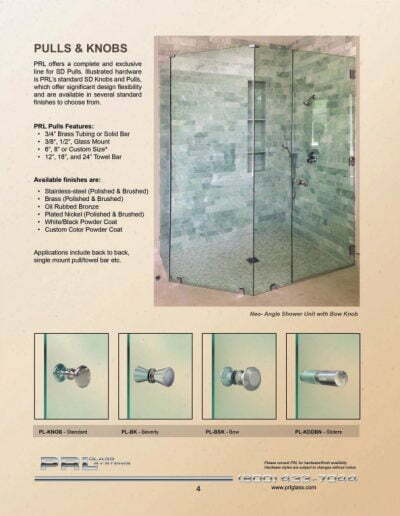 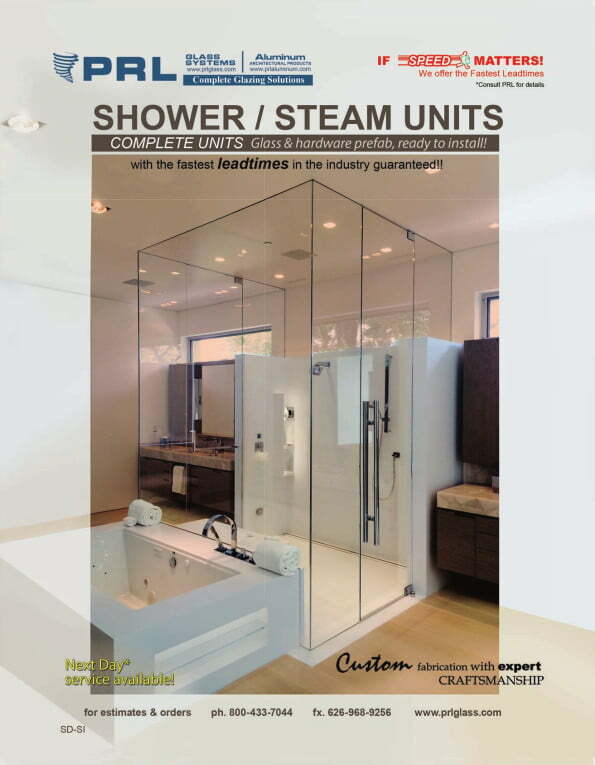 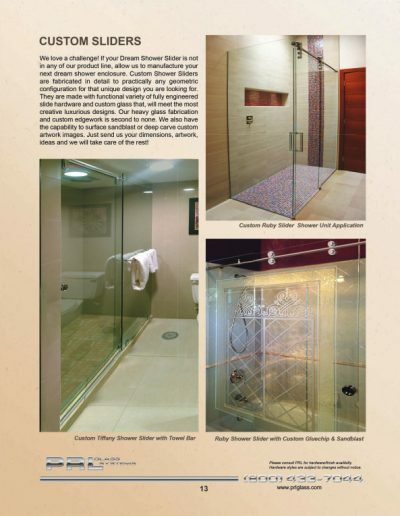 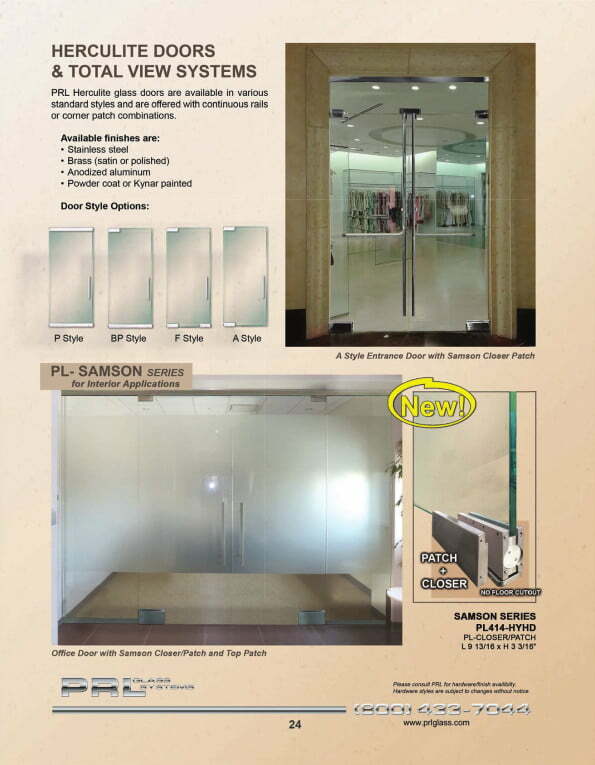 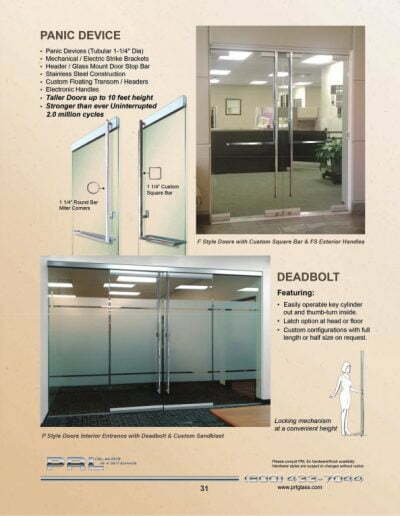 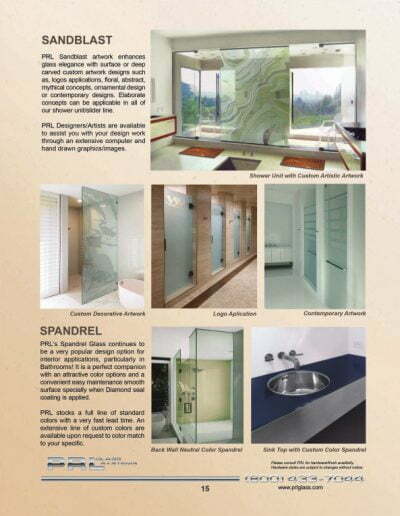 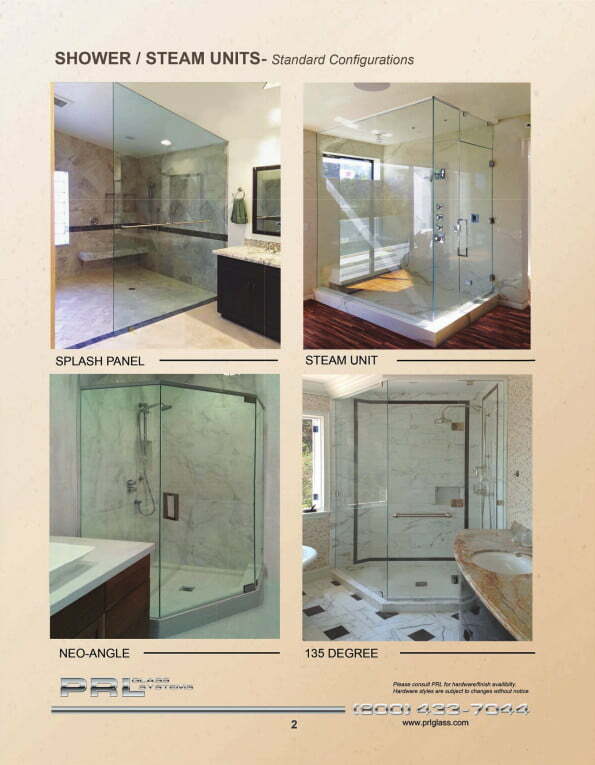 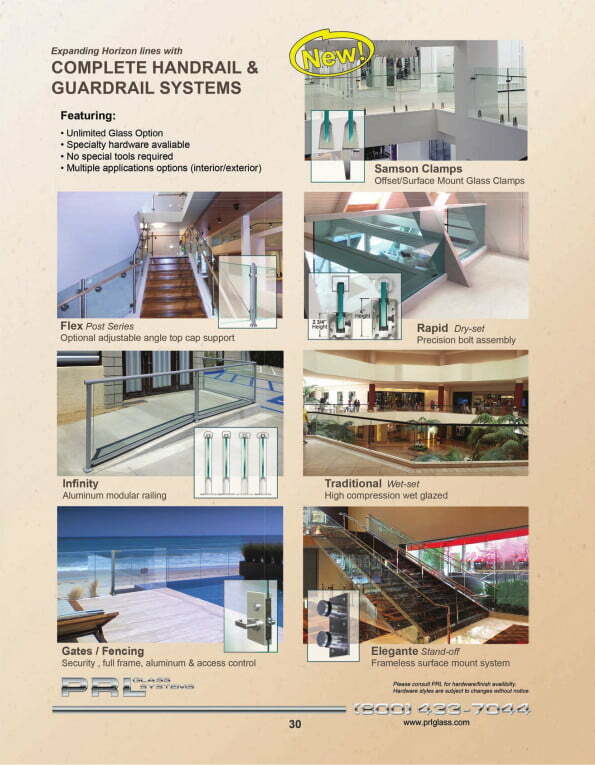 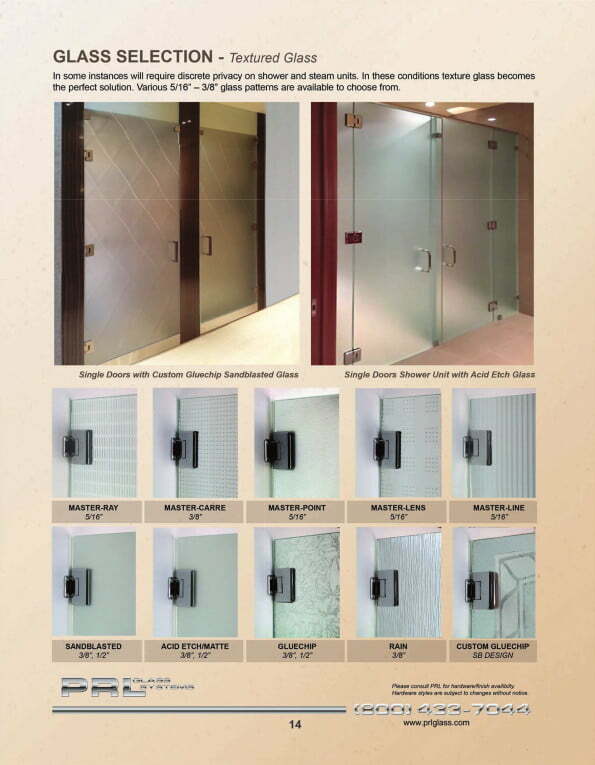 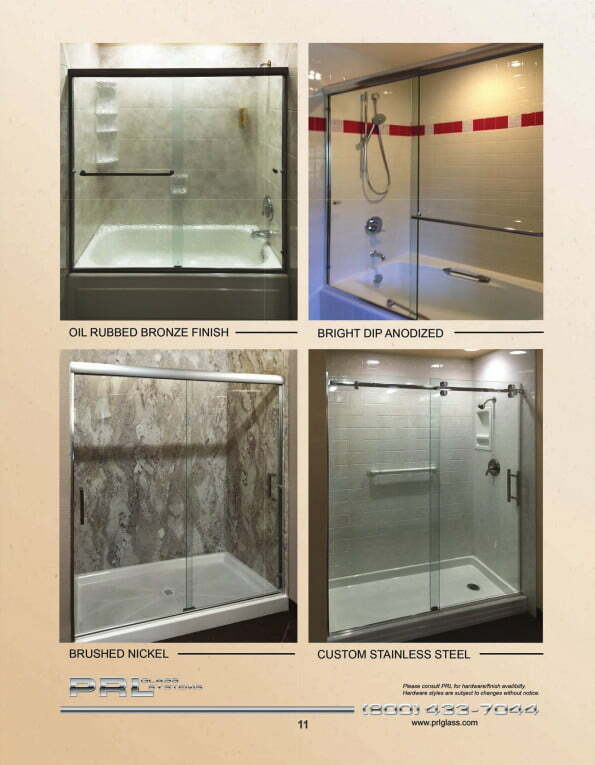 PRL offers a few series of shower door hardware. 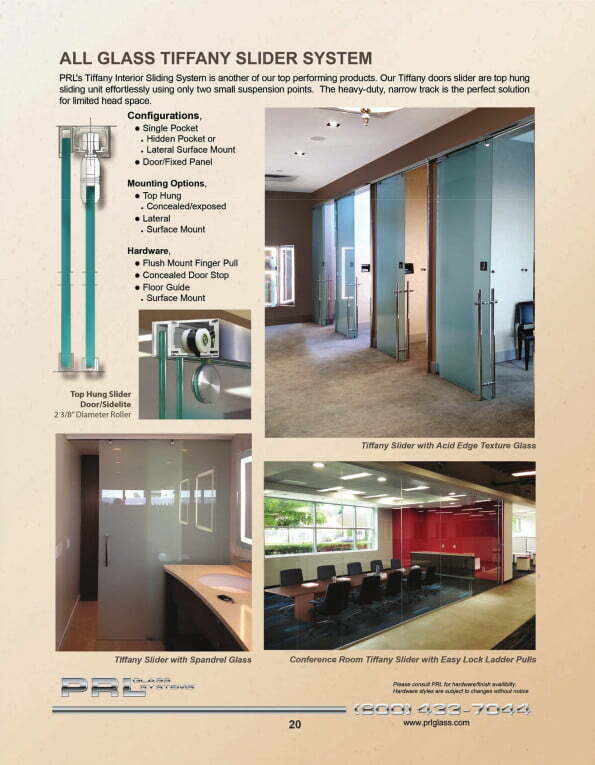 The Bella/Beverly series are all beveled hardware. 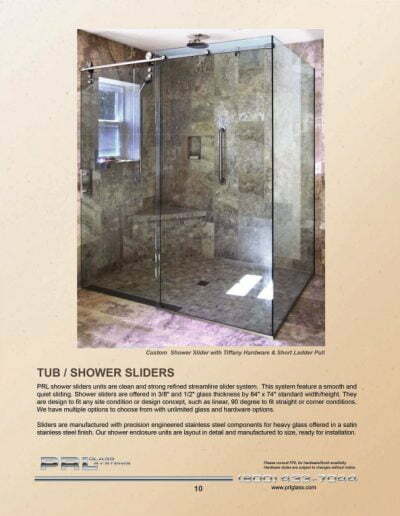 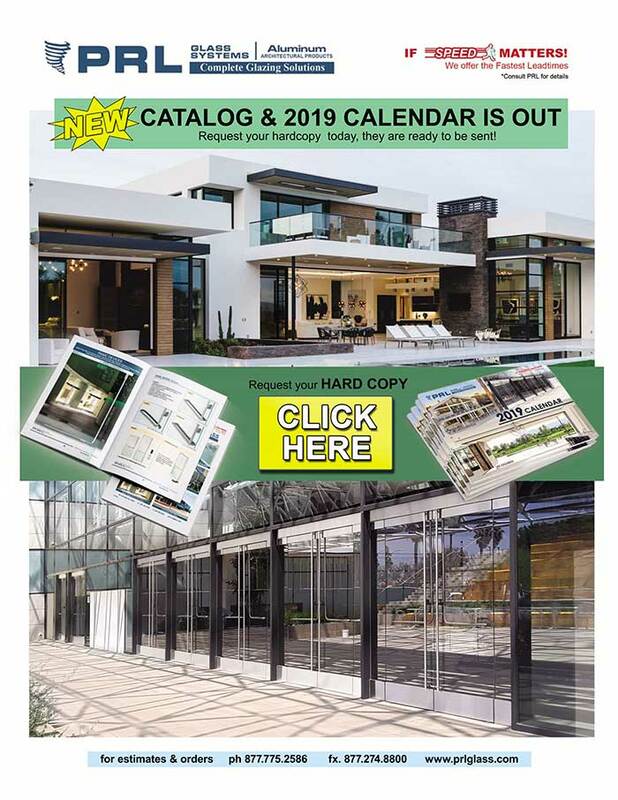 The difference between the two is that the Bella series is a heavy duty line of hinges for shower doors that require you to use a heavy duty hinge. The Beverly series hardware is our standard hardware and the hinges don’t hold up as much weight as the Bella. 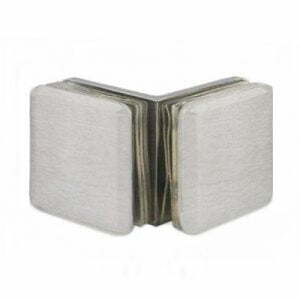 They both have the same shape and style, the only difference is the Bella hinge is a bit larger in size. 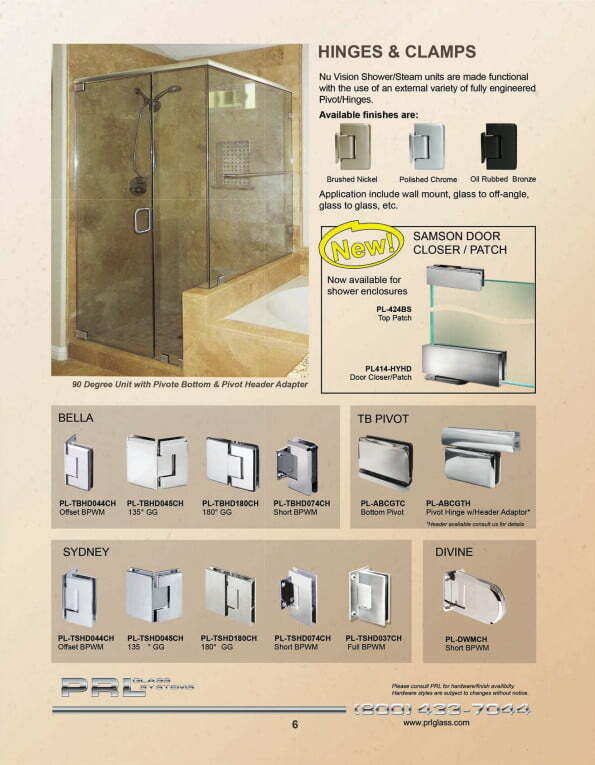 If you’re looking for a modern look, PRL also offers the Sade/Sydney series shower door hardware. 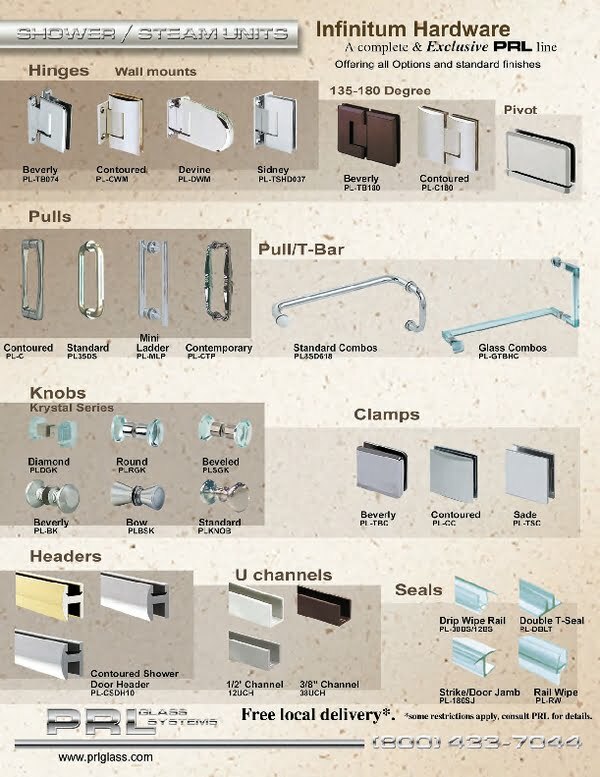 This hardware has complete square edges and flat surfaces. 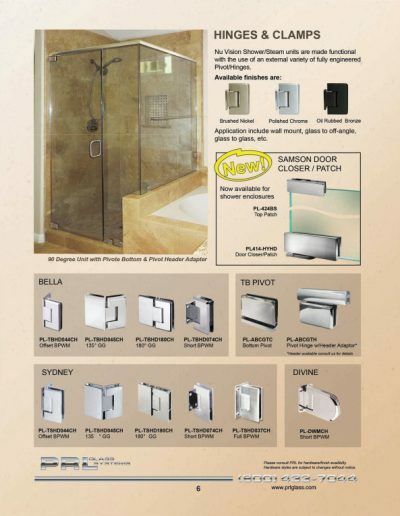 The Sydney series hardware is a heavy duty line of hinges for shower doors that require you to use a heavy duty hinge. 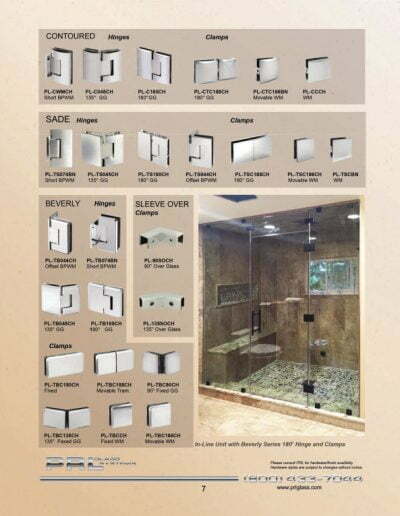 The Sade series hardware is the little brother to the Sydney hinges. The Sade hinges don’t hold up as much weight as the Sydney. 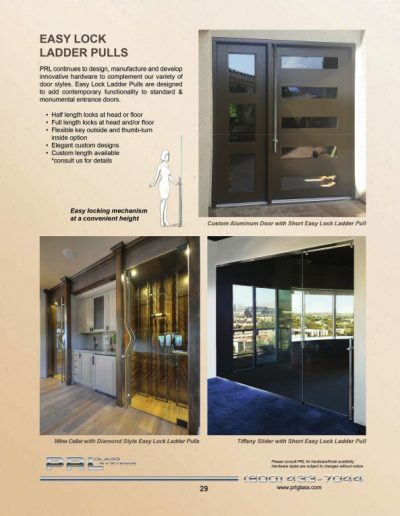 They both have the same shape and style, the only difference is the Sydney hinge is a bit larger in size. 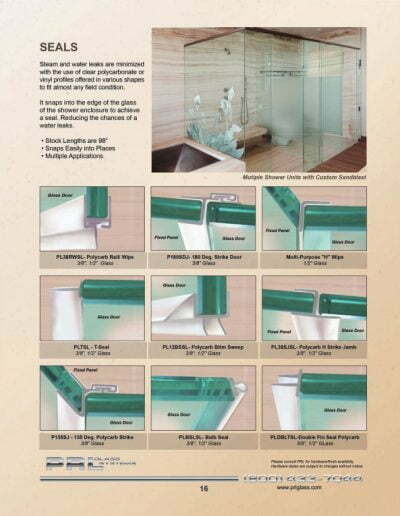 If you’re looking for shower door headers, you came to the right place. PRL extrudes our shower door headers in house. 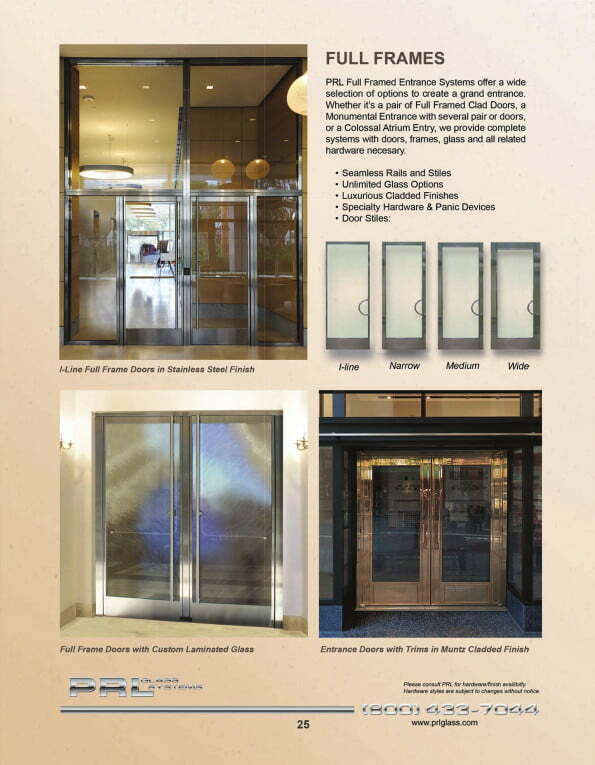 Stock finishes are Brushed Nickel, Bright Dip Anodized and Oil Rub Bronze. 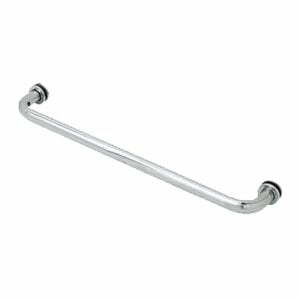 Our Contour shower door header is a sleek looking support device that is easy on the eye. 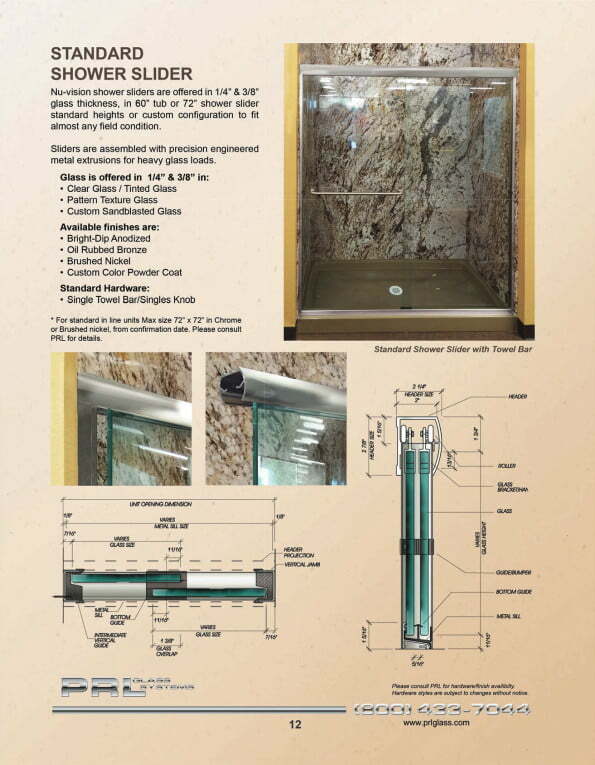 Headers are extruded at 10′ lengths. 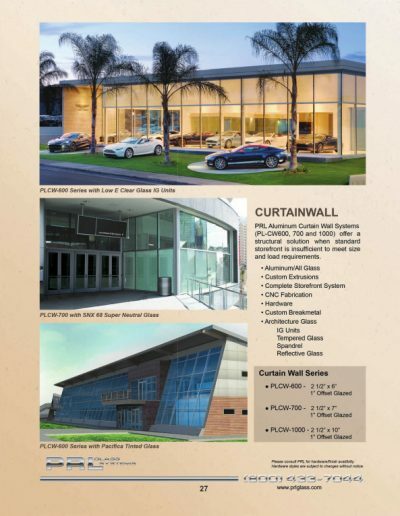 Need to secure fixed panels? 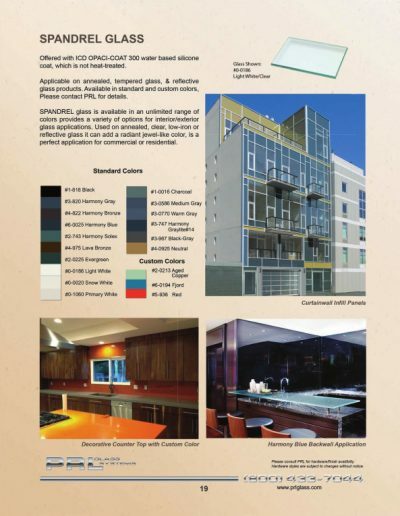 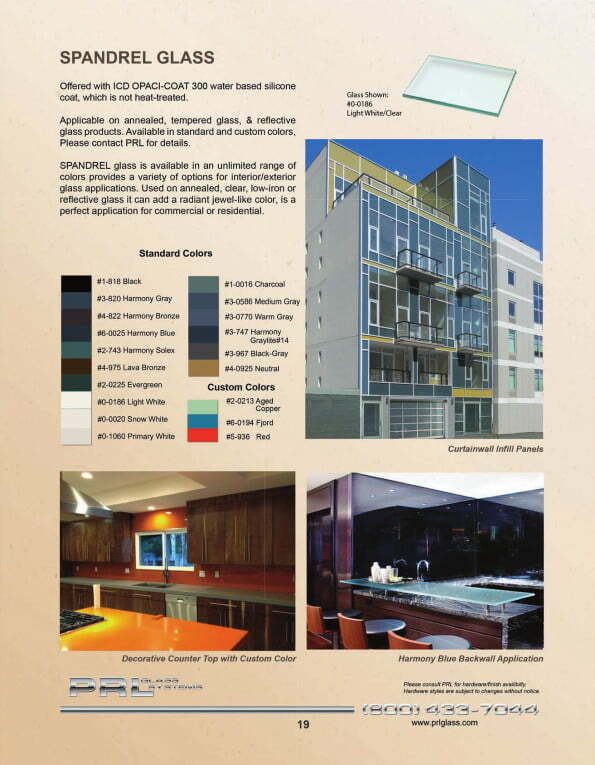 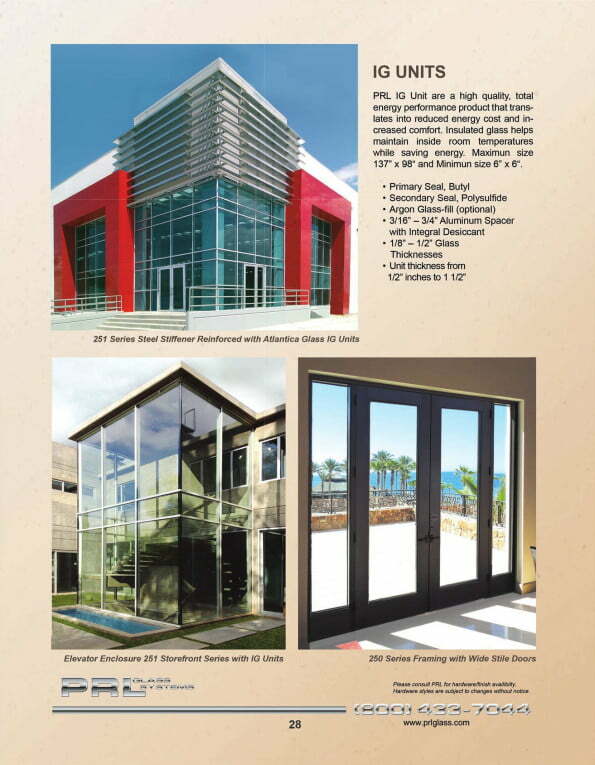 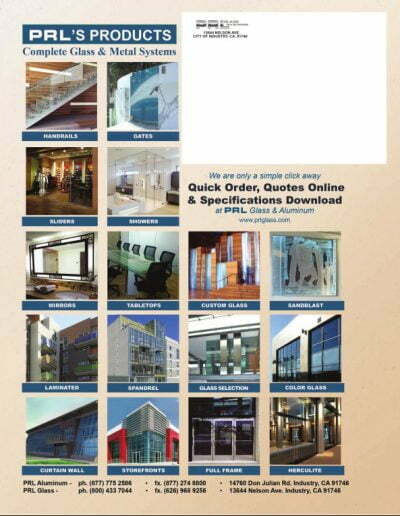 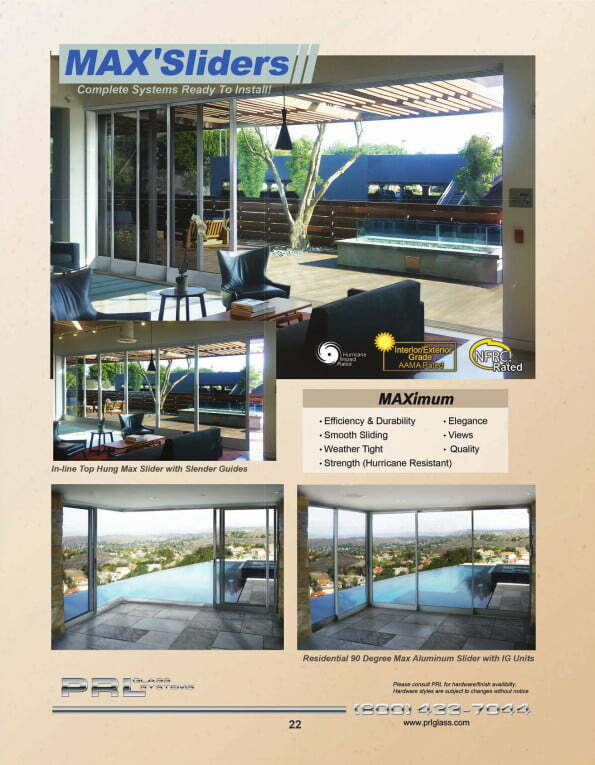 PRL is your vendor, with stock finishes of u-channels in Brushed Nickel, Bright Dip Anodized & Oil Rub Bronze at 12′ long. 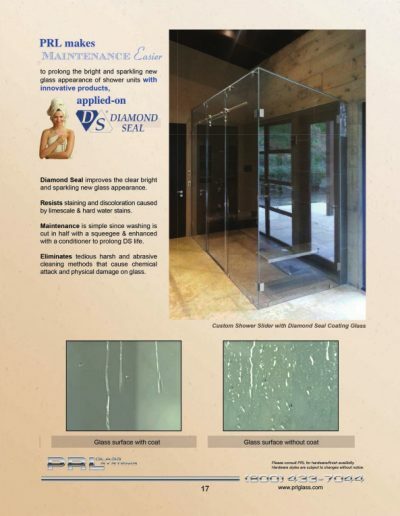 Why go anywhere else to purchase your deep u-channel. 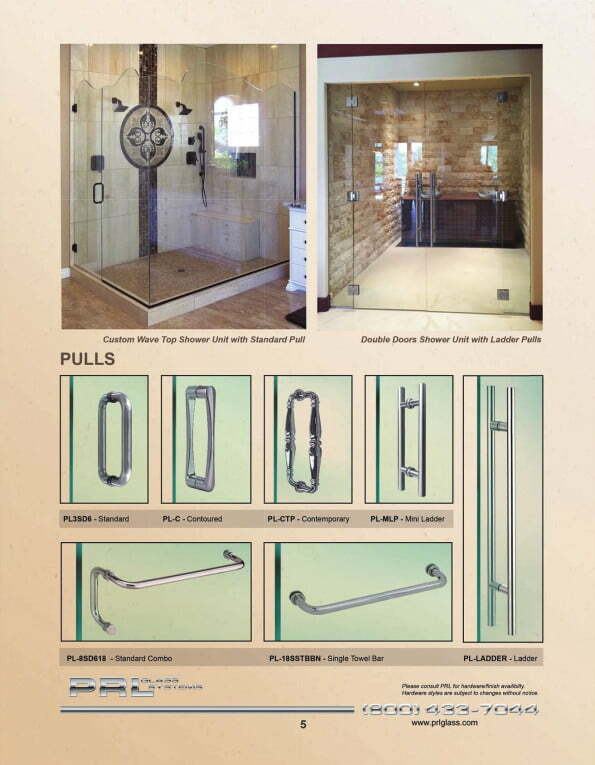 PRL’s lines of door handles, knobs and handle towel bar combinations are one of a kind. 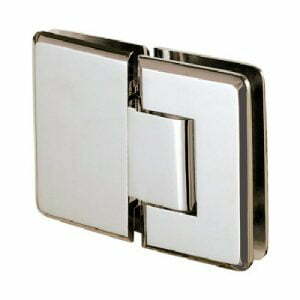 They range from the simple D pulls to our Contoured and Contemporary handles. 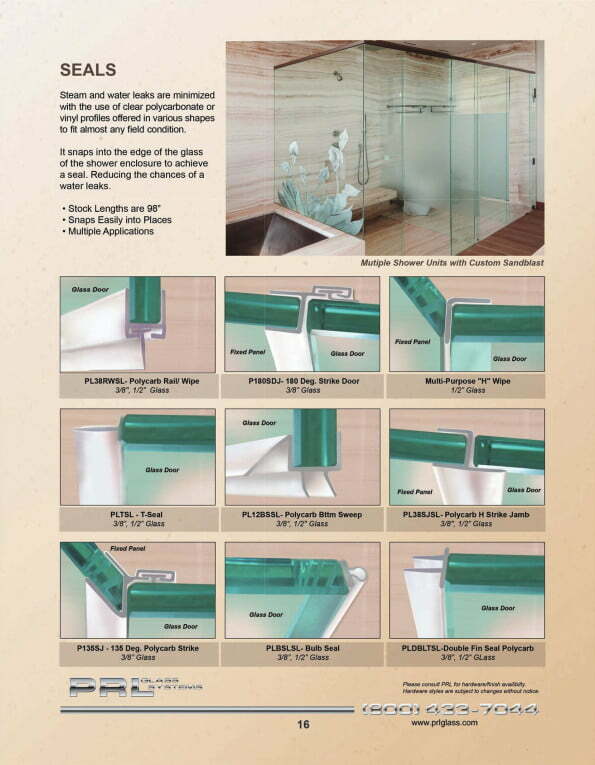 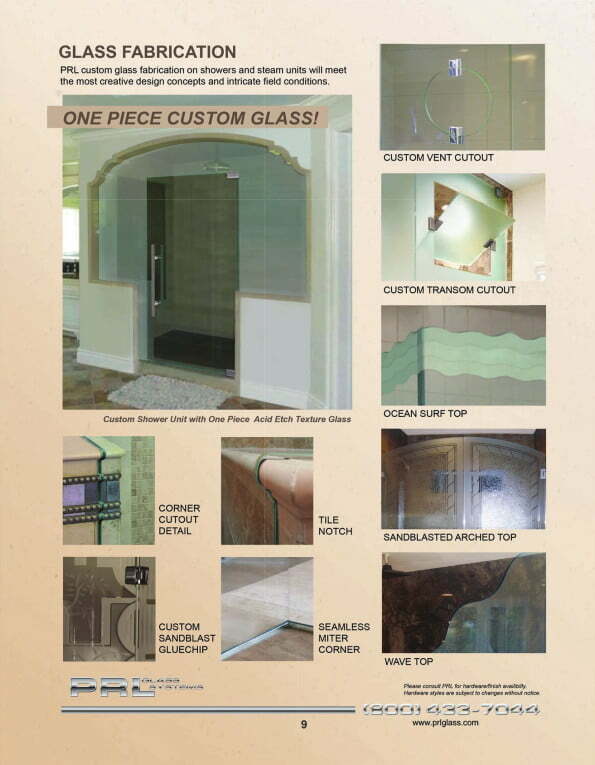 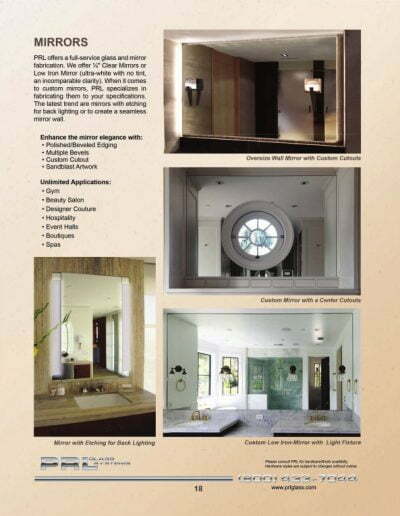 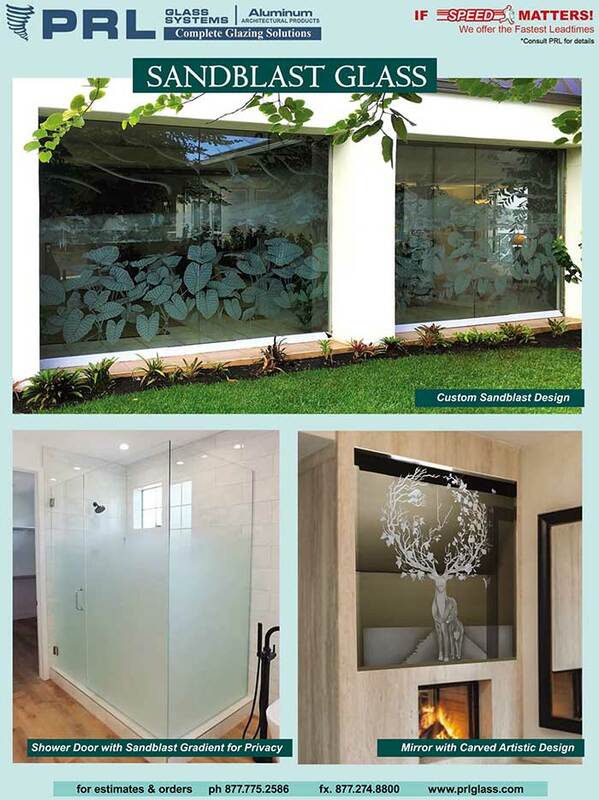 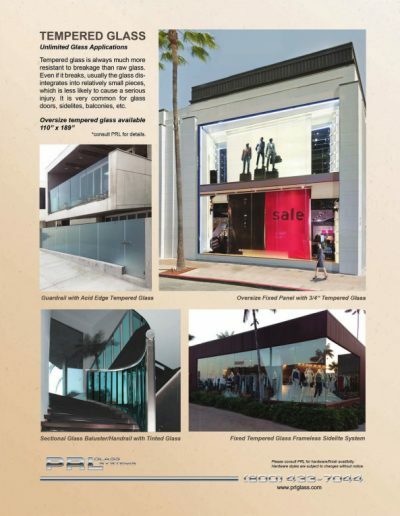 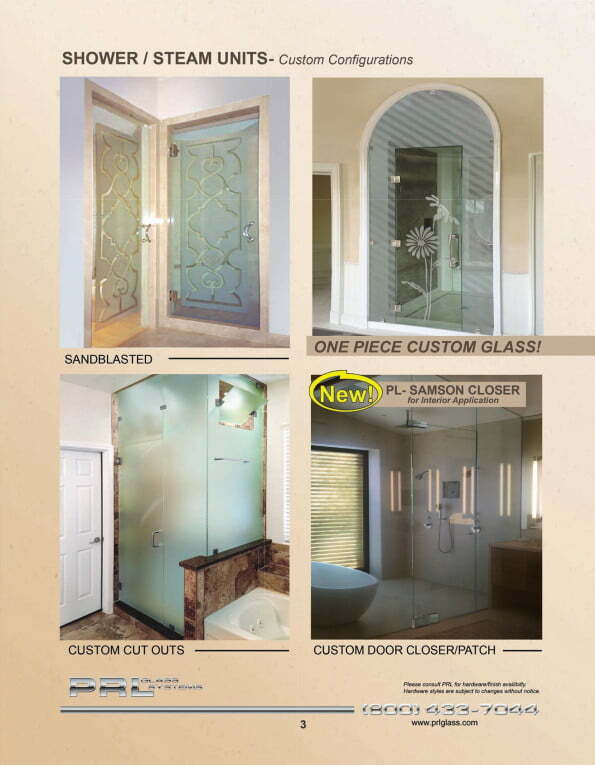 PRL is the only glass fabricator to carry actual glass knobs, handles and handle towel bar combinations. 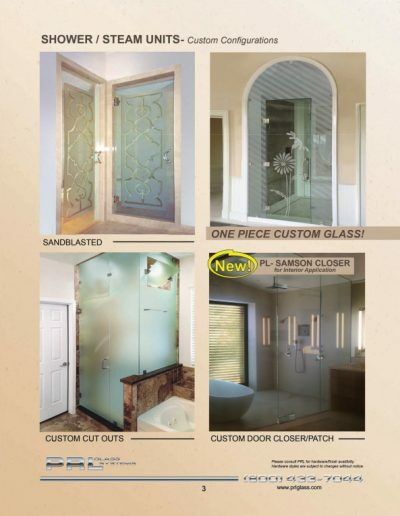 These are made of actual glass, not that cheesy looking acrylic that other vendors offer.